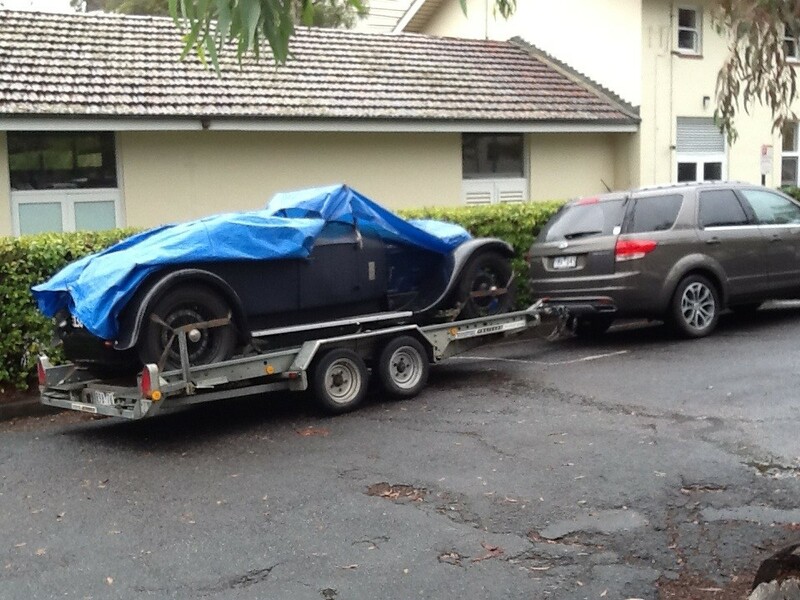 Day 1 – Canberra Left Melbourne at 730am 26 March after an early morning start with getting the car on the trailer (thanks to Grant Cowie for the lend of the trailer) -a bit hard and dangerous (for the car) in the dark. So everything was got ready and WIll M. assisted with the drive on. Just turn on the fuel, a bit of choke, just off full retard and on the button. 13 or so litres of oil in the sump – so a few minutes of warming up required…..more like 5-10 to get some heat into the engine. Lovely burble from the straight 8. Nice DRY road until Albury and then the rain. Anyway – 7.5 hours or so to Canberra to see Emma M. Stayed at University House. Very old Canberra (circa 1935) but with a nice safe car park and only 15 minutes walk from Em. This entry was posted in GABR on April 2, 2014 by geoff.